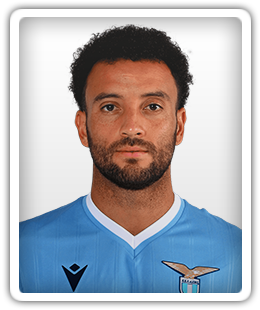 A report claims that West Ham United will not entertain the possibility of selling Felipe Anderson, who was recently linked with a big-money move to Real Madrid. Real Madrid reportedly identify West Ham United winger Felipe Anderson as a potential target if they cannot sign Eden Hazard from Chelsea. Scott Wagstaff scored twice to help see off their Premier League opponents. Sports Mole selects its Premier League team of the week for gameweek 22, including Mohamed Salah, Paul Pogba, David de Gea and three Chelsea players. Summer signing is proving his worth. The Hammers face Cardiff and Crystal Palace at home in their next two games. Relive Sports Mole's live coverage as Manchester City ease to a 4-0 victory over West Ham United in Saturday's clash at the London Stadium. Relive how Tottenham got the better of a hard-fought derby against West Ham, courtesy of Sports Mole's minute-by-minute updates from the London Stadium. Sports Mole takes a look at how West Ham United could line up in Saturday's Premier League clash with Tottenham Hotspur. Sports Mole selects its Premier League team of the week for gameweek seven, including the likes of Eden Hazard, Harry Kane and Raheem Sterling. Former Premier League referee Dermot Gallagher defends the officials' decision to not disallow West Ham United's first and third goals against Manchester United. Manchester United fall to their third Premier League defeat of the season as West Ham United run out convincing 3-1 victors at the London Stadium. Relive how West Ham piled more misery on Manchester United with a 3-1 win at the London Stadium, courtesy of Sports Mole's minute-by-minute updates. West Ham United earn their first home point of the new Premier League campaign with a goalless draw against Chelsea in Sunday's clash at the London Stadium. Relive Sports Mole's live coverage as West Ham United and Chelsea play out a goalless draw in Sunday's clash at the London Stadium. Felipe Anderson names former West Ham United players Carlos Tevez, Javier Mascherano and Paolo Di Canio as players who inspired the Brazilian to join the club. West Ham United record signing Felipe Anderson reveals that he spoke with fellow Brazilian Neymar about moving to the London Stadium this summer. West Ham United eye Nice striker Mario Balotelli in January deal? West Ham United are reportedly eyeing a deal for ex-Liverpool and Manchester City striker Mario Balotelli in January.